By now, three weeks into the World Cup, we’ve all learned a few home truths: Firstly, that your Panini sticker book was an unwise purchase, unlikely ever to be completed; and secondly that ‘Three Lions’ is a work of incontrovertible pop genius, a nigh-on perfectly formed melodic juggernaut. In fact the song’s only downside is that it obscures the full flowering of Ian Broudie’s achievements, chief of the Lightning Seeds and primary architect for the song’s success. 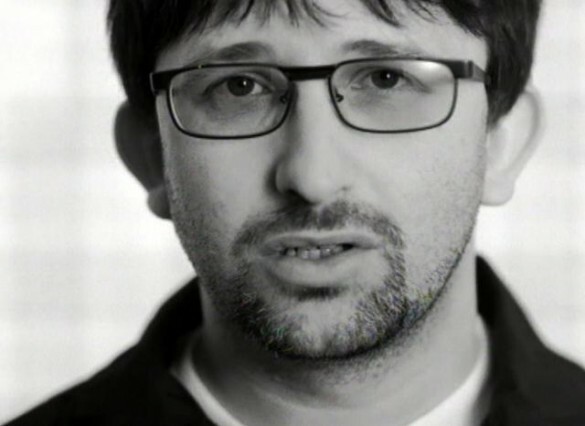 Put simply: Ian Broudie is one of Britain’s true pop geniuses, an expert producer, musician, and songwriter, and if this country was a fully functioning democracy – which one day is might well be – then he would be made a Knight of the realm, an honour he would no doubt scorn to go buy some more guitar pedals. Initially entering music as a member of cult Liverpool outfit Big In Japan – whose alumni also include Bill Drummond and Holly Johnson – Broudie spent the 80s working as a producer, constructing huge releases by the likes of city rivals turned close friends Echo & The Bunnymen, The Icicle Works, and many more, including work on The Fall’s ambitious pop ballet ‘I Am Curious Oranj’. Remarkably, it took Ian Broudie a long time to find a label to back him and his pop vision. When it finally clicked into place, though, hit after glorious hit rained down from the heavens, with The Lightning Seeds supremely well-placed to match emerging electronic sounds to psychedelia’s enduring influence on British guitar pop. It took a man of Broudie’s stature, someone who saw pop songs are blocks of sound, able to be manipulated and re-arranged, to truly lock down a guitar pop formula for the 90s. But he wasn’t done there. 1999’s hugely ambitious ‘Tilt’ was just damn ambitious, too genre-breaking for the charts, so Ian Broudie packed his things and went back to what he did originally: helping other bands become a hell of a lot better. Essentially the in-house producer for Deltasonic, Ian Broudie helped forge that Joe Meek / Syd Barrett / Captain Beefheart sound that sent The Coral, The Zutons, and many more sailing up the charts, with each of those Scouse vagabonds owing a debt of gratitude to the short, scruffy geezer who showed them the way. It’s not even as though he did it for the money – with two (count ‘em!) Greatest Hits albums on the shelves Ian Broudie decided to reinvent Liverpudian guitar pop because he wanted a laugh and he fancied a challenge. Here’s five singles that deserve a bit more time in your life. The debut hit. A man utterly at ease in the studio, ‘Pure’ emerged at a time when Ian Broudie envisaged The Lightning Seeds as being a non-touring concept, essentially placing himself as a latter day Brian Wilson. Except in Liverpool. And with less drugs, and better mental health. A dazzling arrangement of psych revival and cute keyboard riffs, ‘Pure’ is forged by a kind of Liverpool supergroup, with both Ian McNabb (of Icicle Works) and Andy McLuskey (of OMD) on here somewhere. Initially pressed up in a run of 200 vinyl copies, ‘Pure’ became a favourite of the Hacienda crowd’s before, further licensing turned it into a somewhat unassuming trans-Atlantic hit. All of which meant that the Lightning Seeds became something of a full-time affair. Gathering an actual, proper band, Ian Broudie co-wrote ‘Sense’ with another somewhat neglected giant of British pop, The Specials’ own Terry Hall. The rhythm could well be lifted from a Northern Soul record, while its pointed pop classicism is shot through with a remarkably heart-on-sleeve lyric. “I feel like I’m living in a town closed down for winter,” Broudie sings, amid those incredible early 90s synth stabs, half-inched from the flood of house music pouring in through British ports. Ian Broudie and football go back a long way. When the Hillsborough Justice Concert was held at Anfield in 1997, for example, they knew there was only one band who could headline: The Lightning Seeds. And that’s not just because of the cultural impact ‘Three Lions’ had on the wider country – for any child of the 90s ‘Life Of Riley’ is instantly recognisable as a recurring theme on Match Of The Day’s goal of the month round up. Impacted on the DNA of a generation, it’s the subliminal soundtrack to those memories of Tony Yeboah and Matt LeTissier doing impossible things with a football. It’s also an incredible pop song, showcasing Ian Broudie once again as a master tactician of light and shade, with an unbelievable talent for absorbing new technology with a framework dominated by Motown, The Beatles, and other masters of the three minute hit. Recorded for the first Austin Powers film, this cover of The Turtles’ globally successful 1969 hit lays bare many of Ian Broudie’s influences – his thirst for 60s pop re-contextualised in a modern format – in a fun, accessible manner. Essentially a three minute pop symphony that was probably bashed out in the same length of time, Ian Broudie taps into the core of the song, while adding lashings of electronics, underpinning his earnest yet deadpan vocal with a host of machinery. Already at work on his electronically-minded ‘Tilt’ album, this shows that the Lightning Seeds were every bit as astute as their magpie-minded peers, and could easily sit alongside some of the stray moments from Beck’s ‘Odelay’, for example. Or; the best Motown record to ever come out of Liverpool. From the stomping drums to the (admittedly tinny, it was the 90s) synth horns, ‘Sugar Coated Iceberg’ is a resolute homage to Berry Gordy’s home of the hits, but done in such an impish, gleeful, exuberant way it grabs a character all of its own. “I don’t care what songs you sing,” he chirrups, “or how you think up all those pointless things...” It’s a barbed comment on the vacuity of the Britpop movement he helped advance – and certainly produce – while also reaching back to the moments that first sparked that sense of fire in his soul. It’s an utterly pure hymn to the transformative power of pop, to it’s enduring ability to inspire in its meaningless, almost nonsensical, but forever magical manner.